30 lions and 9 monkeys rescued during the Operation Spirit of Freedom mission are being cared for by ADI at our temporary rescue centre near Lima, until they can be relocated to their permanent homes in the New Year. Jan and Tim returned to London this week for a tour of UK cinemas with the award-winning film Lion Ark, charting ADI’s rescue of 25 lions from Bolivian circuses, which will raise funds for the rescue of the Peru circus animals. 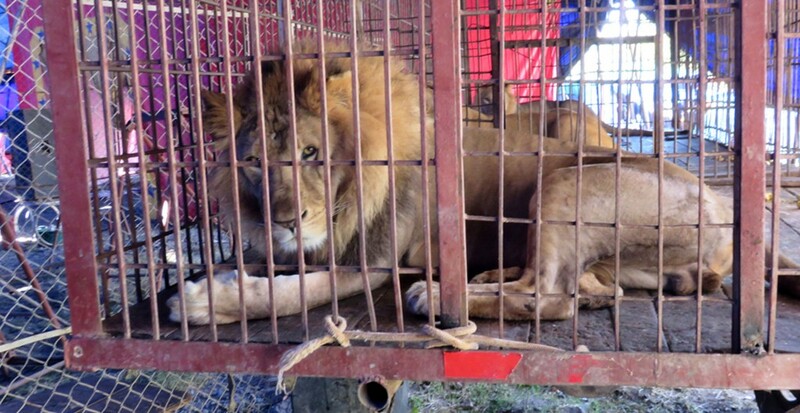 Having spent months tracking down the circuses and planning with Peru Government officials, Operation Spirit of Freedom began in earnest in August when the ADI rescue team and the authorities removed 12 lions and a spider monkey from circuses in Huarral, Ayacucho and Cuzco. One of the male lions, Smith, made headlines around the world after attacking a teacher during a performance. The circus had previously refused to surrender Smith to the rescue team and irresponsibly forced him to continue performing. As public pressure to kill Smith mounted, ADI raced back across the Andes to plea for his life and succeeded in bringing Smith and two cubs, who had been separated from their mother, back to the rescue centre. 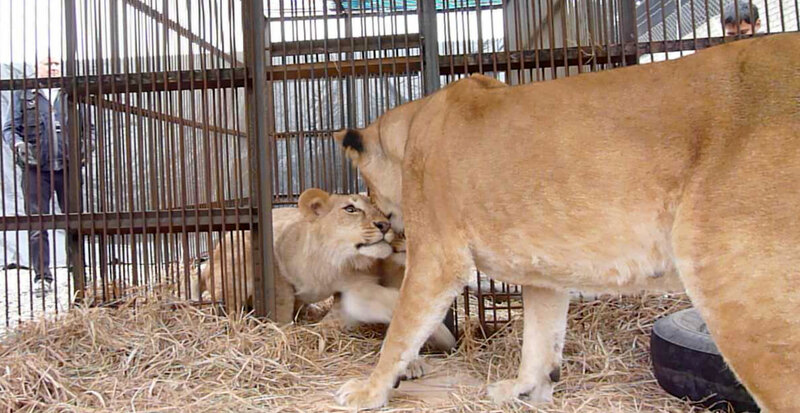 As part of ADI’s Operation Spirit of Freedom nine lions have also been rescued from a circus in Colombia – following the wild animal circus ban being passed there – and will be joining the 21 Peruvian lions on a record-breaking flight to the US. Operation Spirit of Freedom follows a similar historic rescue mission in Bolivia, charted in the award-winning action-adventure documentary Lion Ark, and which recently signed a worldwide distribution deal for television, video on demand, DVD/Blu Ray, and in-flight entertainment with ITV Studios Global Entertainment. Lion Ark is appearing for selected screenings at cinemas across the UK from 11 November to 17 December in Cardiff, Glasgow, Liverpool, New Brighton, Bristol, Oxford, Colchester, Southampton and London. Watch Lion Ark at a cinema near you! Monday, November 17th, 8pm – Plaza Community Cinema, LiverpoolL22 0LD. Box office, tel: 0151 474 4076. Friday, November 28th, 7.30pm – Arnolfini, Bristol BS1 4QA. Box office, tel: 0117 917 2300. Wednesday, December 17th, 9pm – Harbour Lights Picturehouse, Southampton. Book tickets here. What’s the date on this article? I see dates for events in the article that include months and days, but not the year? ?